Last week I had the pleasure of meeting a beautiful, bright and brave woman who sadly, is going through what I went through. Her ears, eyes and balance are in crisis. Her experience takes me back to that desperate, time-critical search for information that all the normal channels such as GP’s and hospitals often fail to give. Times like these you can’t read through 100 blog posts. So here in a nutshell is the key tips and advice to think about if it happens to you. The *stars* highlight the most important instructions. Please remember I am not a doctor so this is ‘patient to patient’ advice and signposting. Apologies for the density of this advice but I wanted everything here on one page for you. In the UK the common practice is for doctors to wait to see if your hearing comes back by itself. They will send you for tests which take time. Yes, the majority of people will simply have blocked tubes, outer ear infections that never lead to any significant or permanent hearing loss. But for some with sudden hearing loss, this time spent awaiting results could mean you are losing vital opportunity to save your hearing. What happens elsewhere in the world is that any hearing loss is treated as a medical emergency and the patient is delivered high dose steroids. These are shown in some cases to restore hearing by soothing inflammation in the inner ear. The sooner they are given the higher the probability of success. For more information on steroids please read my post here. There are a number of ways to obtain them. Evaluate which will be easiest and quickest. 1. Ask your GP to give you steroids or ask him/her to refer you to a neuro-otologist as an emergency (see below). If you have significant hearing loss, don’t accept a referral to an ENT this will take weeks or months. They will do a hearing test. If hearing loss is detected then normally you will be given high dose steroids orally for around 7 days as standard. I would tend to push for 10 days as this is not too damaging to the system. After this course of oral steroids is complete they should be getting you back in immediately to assess whether there has been an improvement to your hearing. If there hasn’t been, or if it is minimal, consider intratypanic steroid injections. This means that the steroids are injected, through the ear drum into the middle ear. The hope is that they will penetrate into the inner ear to provide a direct anti-inflammatory effect. The results are mixed but for some people they can really help to lift hearing again. I’ve had three sets and they are sometimes painless and sometimes painful. My neuro-otologist said its all about the pH of the solution so perhaps you could ask them to check that aspect before they do it. Alternately you can argue for additional steroids for a further 1-3 weeks (or longer if you feel strong enough and are not showing any other health symptoms from the drugs). You could off course go for both. The doctor will assess whether they think you are strong enough to take this level of steroids. Keep copies of ALL your audiograms so you can monitor your hearing loss and improvements over time, and show them to all professionals and audiologists you go to in future. This is valuable history. Can’t hear enough and are still waiting for a hearing test or hearing aids from the NHS? Go to any high street hearing aid dispenser. They will test your hearing and can provide one month free hearing aid trials. You can return them, or pay to keep them as I did. Can’t hear enough to easily converse with others? Invest in a low-cost conversation amplifier like one of these from Action on Hearing Loss. They have a range of products that can be used with and without hearing aids to help you hear others better. Hearing link can put you in touch with a Community Support Volunteer who can provide email support. It can help to have someone to talk to when you feel alone and isolated or when you need specific advice. Your neuro-otologist can refer you to a psychologist and/or hearing therapist. They will help you deal with the day-to-day problems of adapting to life with a hearing impairment. Can’t hear the doorbell, alarm clock or TV? Contact the sensory services (or equivalent) department in your Council and ask what help you’re entitled to. They can usually provide essential deaf equipment which may also include a conversation amplifier. Contact your fire brigade and get a deaf fire alarm fitted for free. At night, you may not hear a normal fire alarm. Struggling to hear people who are not communicating clearly with you? 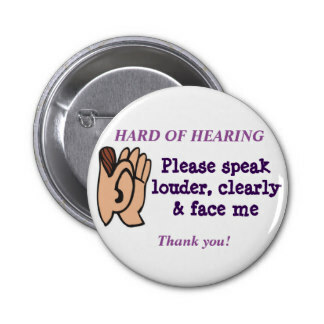 Wear a hard of hearing badge and point to remind people what you need. Consider taking a lip-reading class. Not only will this help you develop skills to help but you will get to meet others who are also dealing with the same issues. If you are in London I highly recommend City Lit College. They have a large selection of classes from lip-reading, sign language and dealing with hearing loss. You can register your phone number for a text-based 999 service, this is important if you are in a situation or environment where you cannot hear properly on the phone. If you are having what feels like permanent dizziness, vertigo or vision bouncing issues (oscilopsia) for longer than a few weeks, get yourself to a Neuro-otologist (see above). You don’t need steroids but you do need the experts to investigate this for you. Dizzy and having trouble balancing or seeing straight? Get referred to Vestibular Rehabilitation Training (VRT) which is a specialised form of physiotherapy to help the body-mind system to rebalance. This is a really vital part of learning how to walk and move with balance again. If you’ve now found the neuro-otologist they will refer you on wards. Otherwise consider going privately because it could take 6 months if you go through a GP or ENT. Do your exercises daily and move as much as you can as this helps the brain to adjust. There are a range of tools you may find are useful to incorporate into your rehabilitation such as these balance mats. Once you can do your exercises on the floor, you can build up to doing them on your balance mat. You will be a pro in no time! Too dizzy to travel to hospital appointments? Call the hospital, GP, Council and Citizens Advice Bureau. I called them all and they failed to tell me about services which DO exist. There ARE options but often one hand doesn’t know what the other is doing so be sure to call different departments and don’t give up too easily. Alternatively post on Facebook, nextdoor, or consider using Uber. It’s a lot of work to get to hospital appointments when you are unbalanced but it really is worth doing what you can to get to the neuro-otologist, especially if they are the ones giving you the steroids and referrals you need. 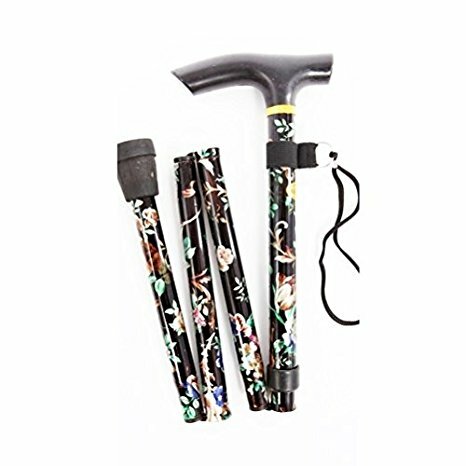 Fold up walking sticks are really useful to carry with you at all times. You never know when you may be caught in the dark, in a crowd or on uneven ground. If all this means you are having to take time off work, you may be entitled to benefits. Contact your Council and the Citizens Advice bureau who should be able to provide an adviser for you. You may be eligible for Personal Independence Payment (UK) among other things. Need help getting back to work, Access to Work will provide any equipment and transportation support you need to get back into employment. Your neuro-otologist can also refer you to Occupational Health to help you prepare yourself for returning to work. I will keep updating this page as I think of more and if any of the experienced deafened-dizzy-jiggly-blurries reading this want to add anything please do so! in the comments and I will update the text. Hello, I found out recently about low-level-laser therapy (LLLT) for hearing loss and vertigo. It was discovered by a German hearing specialist, Dr. Lutz Wilden over 20 years ago, and he has had success with the recovery of his patients, and it has been favorably reviewed by Harvard University. I live in the USA so have ordered his home therapy device but from another company at a cheaper rate. If I don’t respond to the home treatment, I hope to travel to see him in person because his in-office therapy is more intense and yields faster results. He is based at the moment in Ibiza, Spain.